BJP is yet to announce candidates for Mehsana, Surat and Ahmedabad (East) Lok Sabha seats, the last held by actor-politician Paresh Rawal who refused to contest this time. Ahmedabad: The BJP on Sunday announced four more Lok Sabha candidates for Gujarat, dropping three sitting MPs. Bharatsinh Dabhi, sitting MLA from Kheralu assembly constituency, will contest from Patan while Geeta Rathwa, a district panchayat member for the last five terms, will be the BJP candidate from Chhota Udepur (ST). Mitesh Patel, a district-level treasurer in the BJP, will fight from Anand. The three will replace sitting MPs Liladhar Vaghela from Patan, Ramsinh Rathwa from Chhota Udepur (ST) and Dilip Patel from Anand. Junagadh Member of Parliament Rajesh Chudasama has been renominated from the same seat. Vaghela had declined to contest the April-May Lok Sabha polls citing poor health. The ruling party has so far announced candidates for 23 out of the state's 26 seats. It is yet to announce candidates for Mehsana, Surat and Ahmedabad (East) Lok Sabha seats, the last held by actor-politician Paresh Rawal who refused to contest this time. 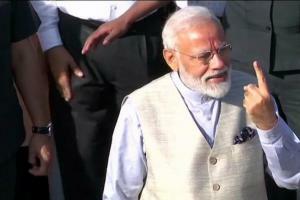 The BJP, while announcing candidates for the 23 Lok Sabha seats, has dropped eight sitting MPs. 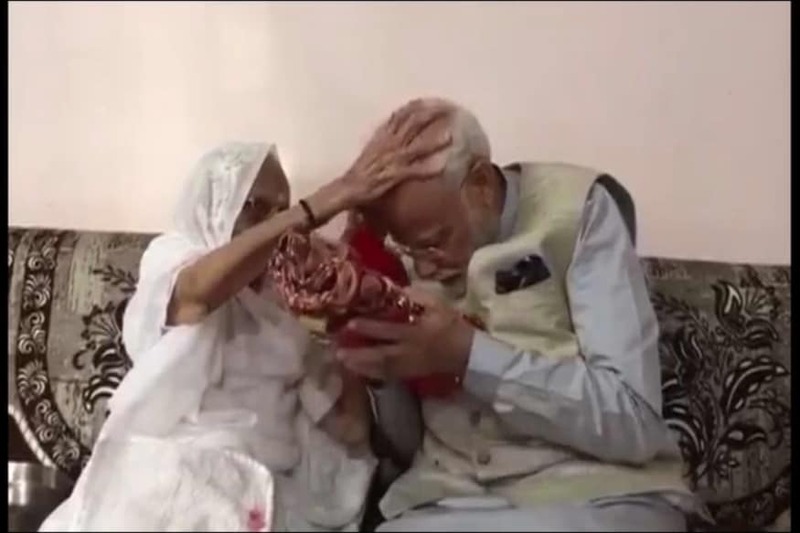 Apart from the three dropped Sunday, the other five are party patriarch LK Advani from Gandhinagar, Haribhai Chaudhary from Banaskantha, Probandar's Vitthal Radadiya, Devjibhai Fatepura from Surendranagar and Prabhatsinh Chauhan from Panchmahal. Among the 23 candidates are four women, comprising Geeta Rathwa from Chhota Udepur (ST), Ranjanben Bhatt from Vadodara, Punamben Madam from Jamnagar and Bhartiben Siyal from Bhavnagar. The BJP also announced the candidate for the Talala Assembly bypoll, necessitated by the conviction of Congress MLA Bhagvan Barad in an illegal mining case and subsequent disqualification. It has already announced names for the three other Assembly by polls. Jawahar Chavda and Parsotam Sabariya, both Congress MLAs who had resigned from the Assembly to join the BJP, have been given tickets from Manavadar and Dhrangadhra while Raghavji Patel, also a former Congress MLA, will contest from Jamnagar (Rural). The Congress, on the other hand, has declared only 13 candidates for the Lok Sabha elections so far, and none for the four bypolls. 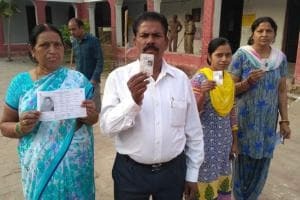 While the Congress is yet to declare its candidate for Patan, it has fielded Punjbhai Vansh, Bharatsinh Solanki and Ranjit Rathwa from Junagadh, Anand and Chhota Udepur Lok Sabha seats respectively. 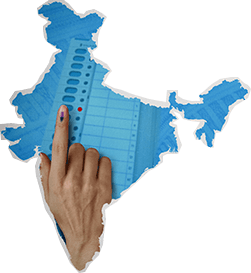 The last date of filing nominations for the Lok Sabha polls is April 4, while polling will take place across the state on April 23.